Court Order? Bill 168? Personal or Work Conflict? Call 1.877.477.3250 for help with Registration! This fun and informative anger management class and conflict resolution workshop was built for you. Our classes help you meet legal or employer requirements and improve your personal life. This is more than an anger management class. You will learn about conflict resolution and forgiveness—tools that will truly increase your emotional intelligence and life success! Check out our testimonials. Our Anger Management Class price includes all fees, manuals, a letter and certificate, and lunch. You’ll be HAPPY you came! or get more information about live classes. We stand behind this class and our 100% acceptance rate across North American courts and employers. If this class does not meet your needs, let us know and we’ll refund your money. Bring us a letter from the court or employer that is rejecting our Certificate and Letter of Completion within one month of taking this class and we will return to you every cent you paid to attend this workshop. We price our classes as competitively as possible. If you can find a similar program at a better price, we will do our best to beat the price. Show us a letter or invoice to you from the competitive Anger Management Class provider. 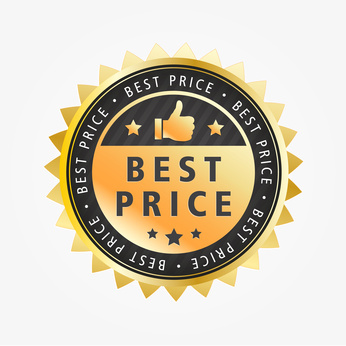 If the competitive program is similar to our workshop, offered at a nearby location, within two weeks of our course date, priced lower than our cost, and includes the same features as our workshop, we will do our best to beat the price of our competitor. If for any reason, we cannot beat our competitors’ price we will be honest and do our best to deliver a solution to satisfy you. If you want to understand this policy further, just call us at 1.877.477.3250 and we will explain the details. Please Note: We cannot offer this course for free. Call toll free 1 (877) 477-3250 or email speakUP@jtcina.com to book this workshop. Our Anger Management Classes are based on some simple and well known human psychology principles. Newton’s Law of Gravity teaches us that “for every action, there is an equal and opposite reaction.” In conflict the same holds true. If you are fighting hard for your position, the person you are fighting must push back equally hard in order to protect his/her position and avoid losing ground. This dynamic is what maintains equilibrium. In other words, arguing produces more arguing and listening produces more listening. This presents a problem because two people with opposing views cannot both be right. Another way to understand this is that if both parties must be heard there is no one to listen. An effective Anger Management Class will teach you to use this principle to resolve conflict. • If the people you’re in conflict with are argumentative, stop arguing. • If the people you’re in conflict with don’t seem to want consensus, neither do you. • If the people you’re in conflict with won’t see the validity of your position, you’re not seeing the validity of theirs. Strategic Communications and Emotional Intelligence – Get educated on the value of communications skills and emotional intelligence. Without these skills we lack objectivity and cannot see the perspective of others or communicate with others in a productive and peaceful way. Anger Management – Learn to identify and address your triggers before conflict arises. Discover the early signs of anger and how to diffuse those moments instead of allowing the situation to escalate. Realize that physical and verbal violence are equally damaging and keep yourself from using those ways of expressing your anger. Conflict Resolution – Learn to incite cooperation and resolution. Discover the power of listening in the resolution process and take responsibility for mending relationships and creating agreement. Realize, above all, that the ability to reach a resolution is fully within your control. Upon completing this eight hour workshop, you will receive a letter and certificate recognizing your completion of the course. This can be presented to a court authority or employer, or even included on your resume. Also, included with this letter and certificate, you will receive an evaluation of your work in the course along with a detailed description of the curriculum you have mastered. Investing in ourselves is something we value, from education to gym memberships we spend a fortune on staying smart and healthy. So why do we ignore some of our skills? Stress management and problem solving are important. They greatly affect our personal and professional lives. Ignoring these skills can cost us our relationships, jobs, freedom, etc. For those who are committed to investing in themselves, we’re happy to have you join us. For those that are required to take this course, you’re about to discover a whole new world. Therapy or counselling usually starts at $100 per hour. At this price, this workshop is a steal. With this class you will receive eight hours of time from Strategic Communications Consultant, Juliana Trichilo Cina. This workshop takes place in a small classroom setting with plenty of opportunities for questions and participation for those that are comfortable. You will also receive a textbook for this course valued at $79.97. Pingback: How Can We Control Anger... Here are 50 Ways | speak UP Communications Consulting | Coaching, Training, Marketing, Resumes | Check out our Anger Management Class!